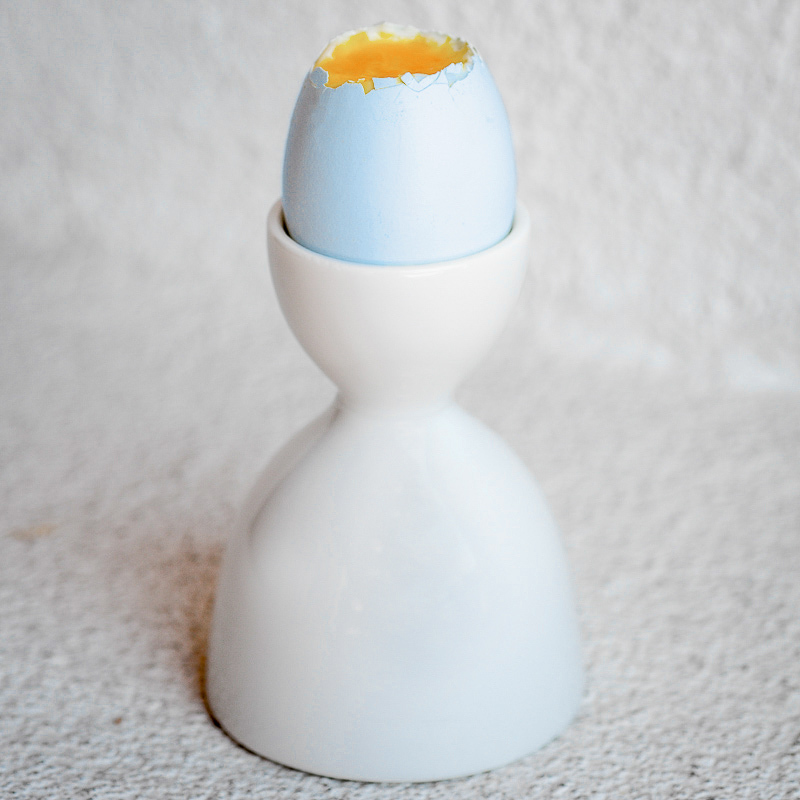 ITEM ELEVEN: The Egg Cup. Like a corseted Victorian, what this new egg cup of mine lacks in practicality, it makes up for in elegance. 25 cents at the thrift store (whose name I was recently encouraged not to reveal lest people swarm in and grab all the good stuff), the egg cup almost seems like a throwback to an earlier food time before the fear of salmonella cast a shadow over the soft-boiled egg. Fear not, I know this chicken and her blue eggs, photographed here in Old Town Albuquerque, New Mexico.